Congratulations to giveaway winner Tristan Blakeman! A new week... so it's time for another giveaway and this one is international! Debra Glanz of The Paper Assembly will be sending twelve 18 x 24 inch (46 x 61cm) artist papers of choice to one lucky winner. 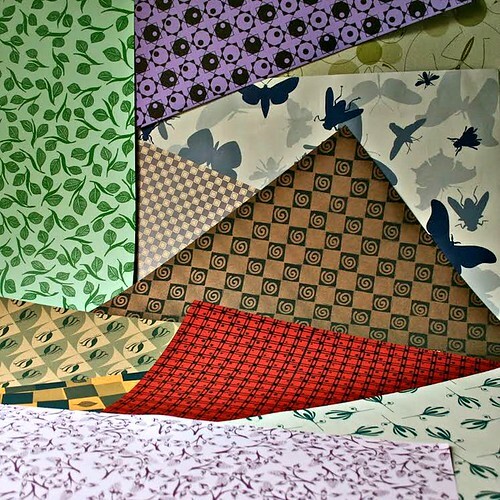 The high quality sheets - a lovely mix of masculine and feminine designs - are ideal for bookbinding and box making, home projects, or even gift wrapping. 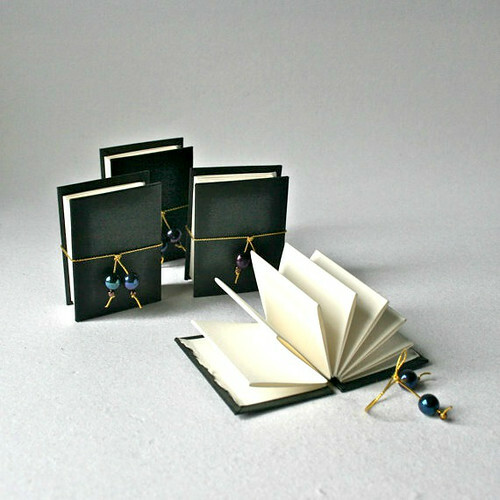 You might remember Debra from this post in which her beautiful handmade boxes and handbound books were featured. She meticulously covers bookboard layers with coordinated papers, some of which feature her own designs. Debra has two Etsy shops, Reminiscence Papers and The Paper Assembly, as well as a new website, also called The Paper Assembly. There you'll find a gallery of her work as well as a blog (which I highly recommend as Debra has a fun sense of humor) and helpful tutorials. You're sure to pick up ideas for using artist papers. 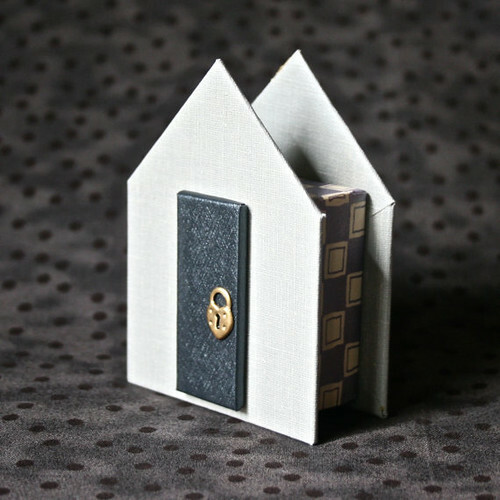 The Paper Assembly shop features papers, artist books and boxes, bobble boxes, house boxes, mixed media sculpture, and wearable history. 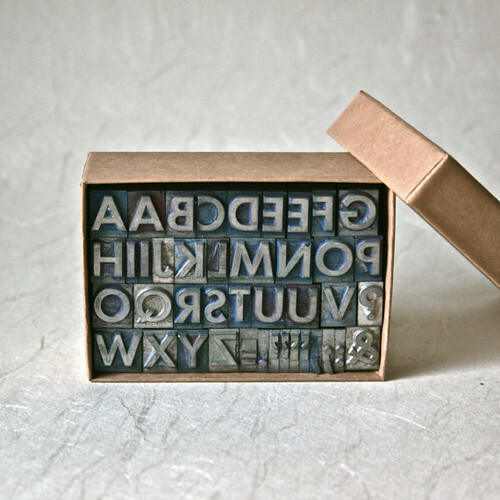 and an array of letterpress type sets for collage work and stamping, as well as drilled printer's type that can be worn as a necklace. Debra will customize/combine letters to spell out wearable words. Choose from many fonts. You'll also find watch components, doll parts, and packaging accessories. 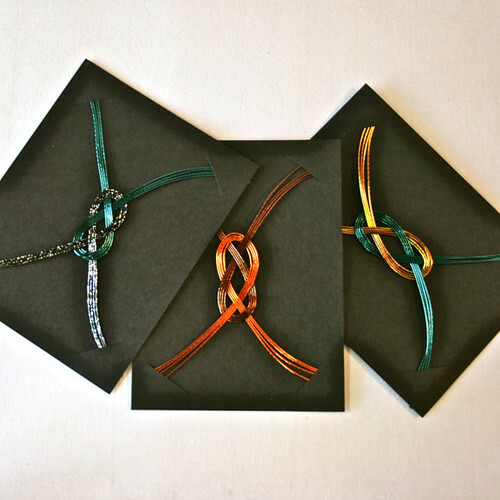 These hand-knotted metallic mizuhiki cords would be so pretty as gift toppers. This is an international giveaway! Leave a comment below as your entry to win an assortment of twelve 18 x 24 inch (46 x 61cm) artist paper sheets of your choice from Debra's Etsy shops through Sunday, December 7, 2014. They will be shipped rolled in a cardboard tube. Include your email address within your comment as Blogger doesn't allow me to see the top portion of the form. One winner will be selected at random and announced here as soon as she or he has been contacted. Good luck! What wonderful creations! I love the house box! I think this curling art is wonderful too. wow, beautiful. the papers are a work of art in and of themselves! Who can resist such lovely papers? And finally an international giveaway ;) Thanks Ann and Debra. Beautiful paper!!! Thanks for the chance Ann. The paper collection is gorgeous. Oh, so many possibilities ! Thanks for the chance, Ann. Stunning patterns. Thanks for the chance. I would like to try the tutorial for Origami Boxes. I love the house box! thank you! Paper Wishes is a bundle of presents to a multi-media artist for a month of celebrations. Wow, I love those little boxes. 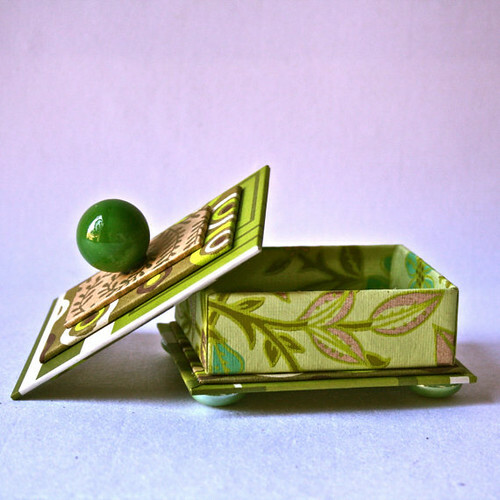 I have always been fascinated with making little paper boxes. I love working with paper! Thanks for the giveaway. What a great give away!!!! I love beautiful papers and these are exceptional...would be thrilled to win!!!! Great idea for the knots as a topped!!! The papers are so lovely. Thanks for a chance to win . Such beautiful papers - they would be a joy to work with. bev dot frey at alaska dot edu. Yes! More paper. Much more paper. I would love to add these beautiful papers to my collection. LOVE LOVE LOVE the papers!!! Oh wow!! Fabulous paper and cording. And great ideas to use the papers with. Thanks for the chance to win. Such beautiful paper! Great giveaway! Such gorgeous papers! Thanks for a chance to win them! What lovely designs! I'd love to use our paper. Great papers! Thank you for such a good idea! I love all papers! Thank you for giving the opportunity to win, who live outside of the United States! Amazing art...Really beautiful.. Thanks for lovely giveaway.. I love her boxes and I love Paper!!! Thank you for the giveaway. 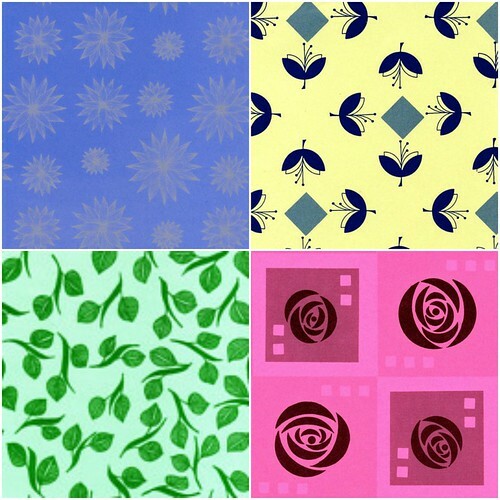 I like this waterbugs paper design, it's rather refreshing. A great set of papers. 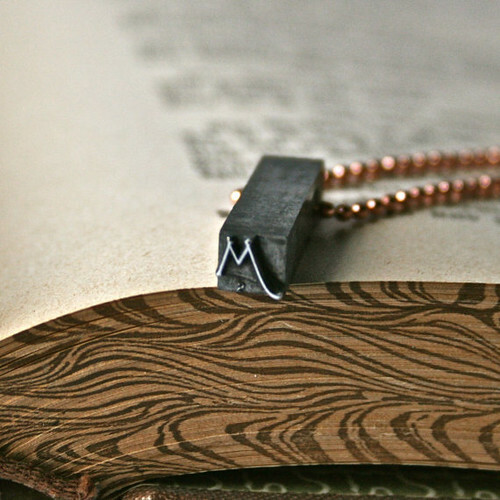 These are beautiful papers and I love the assortment of letterpress type in her Etsy shop! What beautiful papers. I love the little books you have bound. I'd like to do something like that too. What wonderful creations those little books are! So sleek and elegant! I've used her papers before, and love them - would love the opportunity to play with more! Please throw my name in the cyber hat! Oh, these papers are so beautiful! I'm keeping my fingers crossed - I want them, I want them, I want them! I'm angie.rayfield at google.com. beautiful paper and your projects are great thank you so much for a chance to win. Wow, these papers are lovely and inspiring! Thank you for the giveaway! What a beautiful and generous giveaway! Oh to be surrounded by such beautiful paper. I can think of lots of things that might be possible with them. Thanks for the chance to win. These are gorgeous! I'd love to receive even just one sheet! The papers a beautiful!! I'd love to make some boxes with them. These papers are lovely, and I really like that little house box, too.Thank you for the chance to win some of your beautiful papers! Happy Holidays from Roberta S at jsx5@comcast.net. 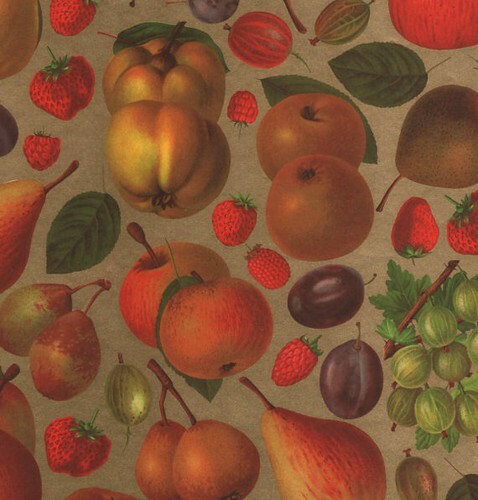 Love the papers, the Italian with the Gooseberries are beautiful! Thank you for sharing a new site too. Going to have a look. Beautiful designs. And beautiful work. Thanks for sharing. Amazing papers! So many beautiful ideas for using them! I Love this paper!!! I'm from Italy and Iknow italian paper!!! It's fantastic...hoe to be lucky!!!! I love the creativity and wish i had half the talent u do.U are definately very gifted! !My email is nailchick73@yahoo.com.My name is Julie.